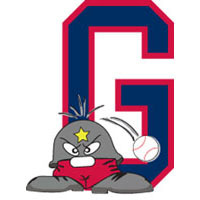 The Waynesboro Generals have a first look at what 2013 will look like in terms of a roster. The roster for first-year coach Mike Bocock includes seven returnees from the 2012 Valley League regular-season champions. – Kyle Allen, a 6’3″, 195-pound sophomore pitcher from Butler, was 3-2 with an 8.06 ERA in 18 appearances (one start) for Waynesboro in 2012. – Josh Bullock, a 6’4″, 210-pound sophomore from Nebraska-Omaha, was 2-0 with a 1.64 ERA and a team-high 10 saves in 2012. – Jeff Conley, a 6’1″, 175-pound junior from Alderson Broaddus, was 0-1 with a 2.03 ERA in eight appearances (three starts) as a pitcher and hit .262 with a homer and 10 runs batted in as an outfielder in 2012. – Greg Cooke, a 6’7″, 200-pound junior from Central Florida, was 1-1 with a team-best 1.08 ERA in 16 relief appearances in 2012. – Anthony Iacomini, a 5’9″, 185-pound junior at Courtland State, hit .256 with two homers and seven RBI in 2012. – Ben Krusen, a 6′, 200-pound sophomore from North Central, was 1-2 with a 3.31 ERA in four appearances (three starts) in 2012. – JoJo Woods, a 5’7″, 172-pound junior at Central Florida, was 1-0 with a 2.35 ERA in three appearances (one start) and hit .253 with a homer, 14 RBIs and nine stolen bases in 2012. Full 2013 roster: Click here.